nerdy views: Can You Tell What's Real And What's Printed? Printers aren't usually the first thing on my mind, but robots generally pop into my head multiple times a day. That's why this commercial advertising Canon's line of PIXUS printers is so interesting. 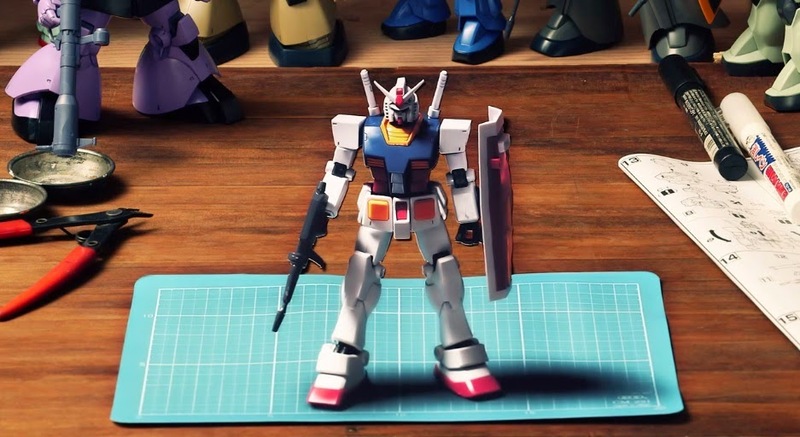 It uses Gundam models and printouts of Gundam models as mind bending illusions. It's pretty fascinating to look at. Can you tell what's real and what isn't? Obviously these printouts only look 3D from a certain angle but it's still impressive how they did it. Here's a short behind the scenes video which explains a lot of how they shot the commercial.